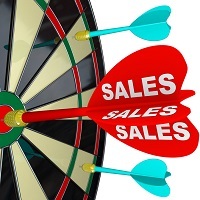 Sales and Marketing department is the most important pillar on which the company survives. This section is entrusted with the most important responsibility i.e. to clinch more business revenue for the organization or firm. The sales executive is required to take all suitable measures for earning paramount profit for the company, critically analyzing the sales generated in a particular time span, persuading customers to buy the product or the services offered by the company. Sales and marketing jobs are very challenging. Therefore, the candidates should have excellent convincing power; a dynamic personality and ability meet the targeted deadlines. Remuneration and perks are not an issue in this sector. Consequently, it is the most rewarding profession. Nidhi Maritime Consultancy offers ultimate manpower solutions in marketing and sales sector. Adroit team of professionals selects the most deserving candidates after a stringent screening process.